Our graduates from VanArts are among the best in the business, so it’s only right that they work on the best new productions, such as Warner Bros’ sequel to The Lego Movie opening this weekend. Congratulations and a big shout-out to our own Emily Eslinger, Kevin Prato, Rambo Snyder, and Prasad Thengeti for their work on the film at Animal Logic studios here in Vancouver! Established in 1991 and based also in Sydney and Los Angeles, Animal Logic has had a 45,000 square foot studio facility in Vancouver since 2015. 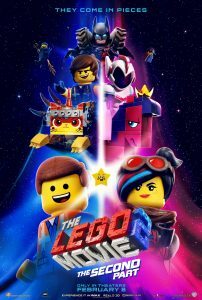 Their first project here in town has been The Lego Movie 2: The Second Part, the first in a three-film deal with Warner Bros., all of which are being produced in Canada. The studio paid us a visit last fall to speak with our current students about the incredible work they do. We look forward to watching the movie, and seeing many other VanArts grads find their way into working on future films to come. Vancouver is still the top city in the world for animation & VFX production. If you’re ready to be part of the team, there’s still time to start classes in March — contact us to learn about the program & if you qualify for a scholarship.